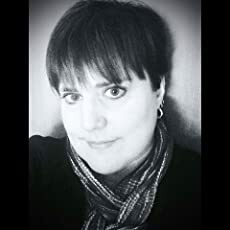 Laurel Storey is a Certified Zentangle Teacher (CZT®) who lives, works, creates, and shares the Zentangle® Method in the Windsor-Essex region of Ontario, Canada. Visit her website (laurelstorey.com), read her blog (alphabetsalad.com), and browse her online portfolio (tenthousandtangles.com) to learn more. ZIA 208, for Zentangle Project Pack No. 05, Day 3, this time featuring my guy’s gorgeous boy Carlin. ZIA 207, for Zentangle Project Pack No. 05, Day 1, showcasing my pretty girl Mei-Mei. ZIA 206, for Zentangle Project Pack No. 05, Day 2. The coin in the centre is a Canadian quarter from the country’s Centennial (and my birth year), 1967. An ongoing Zentangle-Inspired Art project by yours truly. 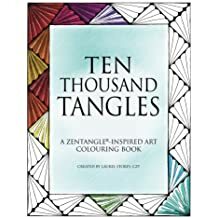 The post Zentangle classes – April to June, 2019 appeared first on Laurel Storey, CZT. The post Zentangle classes – January to March, 2019 appeared first on Laurel Storey, CZT. 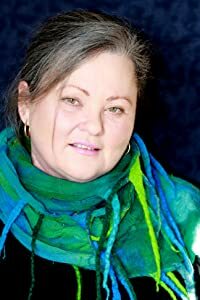 The post Zentangle classes – October and November, 2018 appeared first on Laurel Storey, CZT. 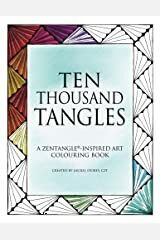 The post Zentangle classes – September to November, 2018 appeared first on Laurel Storey, CZT. The post An invitation to join WE (Windsor-Essex) Tangle! appeared first on Laurel Storey, CZT. The post Zentangle classes – August and September, 2018 appeared first on Laurel Storey, CZT. The post Zentangle classes – July to September, 2018 appeared first on Laurel Storey, CZT. The post Art and Heirloom Shoppe – Chatham, ON appeared first on Laurel Storey, CZT. The post Elementary School Art Event – Mini Zentangle® Workshop appeared first on Laurel Storey, CZT. The post Blog post from Zentangle Headquarters appeared first on Laurel Storey, CZT. The post Tangled T-Day No. 15 appeared first on Alphabet Salad. The post Tangled T-Day No. 14 appeared first on Alphabet Salad. The post Photo A Day Challenge – May, 2017 appeared first on Alphabet Salad. The post Tangled T-Day No. 13 appeared first on Alphabet Salad. The post Photo A Day Challenge – April 1-14, 2017 (sort of…!) appeared first on Alphabet Salad. The post Tangled T-Day No. 12 appeared first on Alphabet Salad. The post Photo A Day Challenge – March 18-31, 2017 appeared first on Alphabet Salad. The post Tangled T-Day No. 11 appeared first on Alphabet Salad. The post Tangled T-Day No. 10 appeared first on Alphabet Salad. The post Photo A Day Challenge – March 1-17, 2017 appeared first on Alphabet Salad.